After the driver of a 2014 Dodge Charger tried to beat an Amtrak at a train crossing in Indiana, the locomotive full of passengers struck the car on the track, sending the back end of the car flying in pieces. 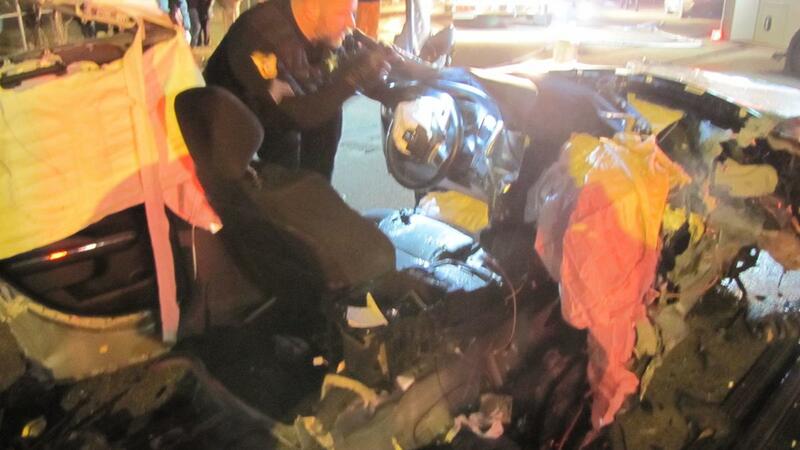 The driver was extracted and taken to the hospital with no current updates on his condition. Witnesses say that Jeffrey M. Colovos, of Lake Village, Indiana, was the driver of the Dodge Charger who tried to cross the tracks after the crossing gates were lowered. He was the second driver to cross after the gates were down, but he was unable to clear the tracks before the Amtrak arrived at the spot and smashed into the back of the Charger. When officers arrived on the scene, they noted the front part of the Charger was still in the crossing, according to the Times of Northwest Indiana. The driver was still in the seat when help arrived, and a good Samaritan was holding his neck to help prevent further injuries until emergency workers arrived—he was then hospitalized and cited for crossing the lowered gates. 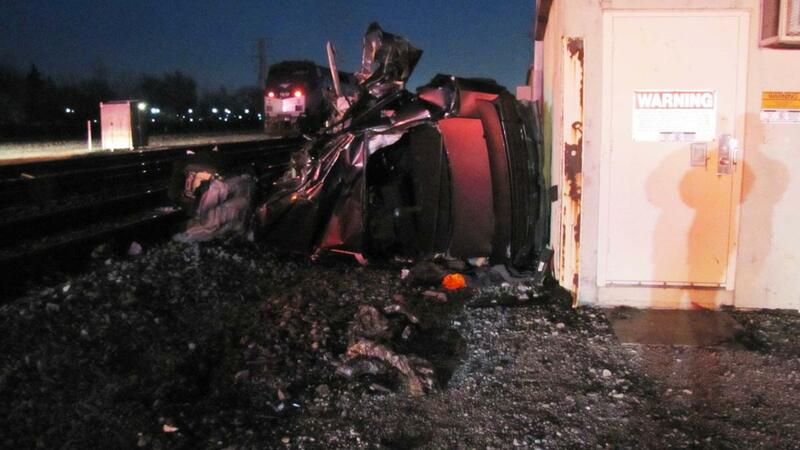 What was left of the Dodge Charger was removed from the tracks by a rollback, and debris was cleared by responders. The Amtrak train, traveling from Chicago to Michigan, was carrying 104 passengers and traveling around 40 to 45 mph when it struck the Charger. No one on board was injured, and the train was delayed over three hours. It sustained only cosmetic damage and continued on to Michigan without repairs. A second train was delayed by 20-minutes while they cleared the tracks. Indiana is third in the country for crossing collisions in 2018, with a total of 107 crashes occurring from January through September. Federal investigators cite video and witnesses in saying gates at rail crossing were down ahead of last month's fatal collision.